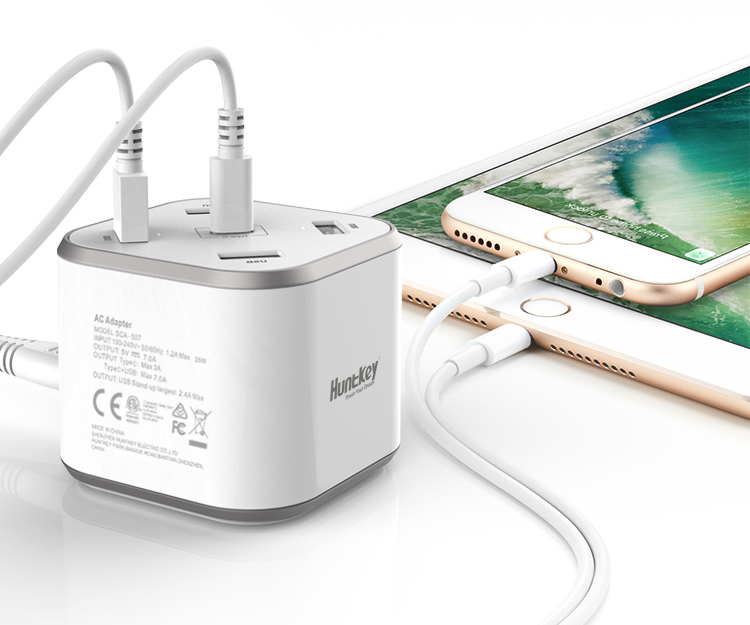 SHENZHEN, China, May 15, 2018 — Huntkey, a global leading provider of power solutions, has recently released its new USB charging station – the SmartC, which features a USB Type-C port on the top for smart and fasting charging. USB Type-C is an emerging standard for charging and data transferring. What is USB Type-C? What do you have to know about it? Why is USB Type-C superior to other standards? Here are some details as below. 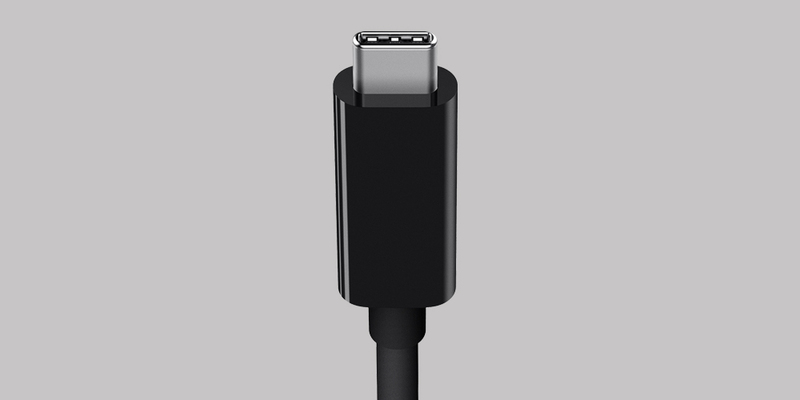 USB Type-C, also known as USB-C, is a 24-pin USB connector featuring horizontally symmetrical design with the ability to “reversibly” connect with the charging devices. It enables significantly faster charging and data transferring on electronic devices such as laptops, smart phones and tablets. With several unrivaled advantages, USB-C is slowly replacing previous USB types, including USB-A, USB-B and USB Mini-B that have been prevalent over the past several decades. One of the most noticeable features about USB-C connector is that it's super small. It measures only 8.3 mm long and 2.5 mm wide, which means it can be implemented on a smaller device than any other connectors can. USB-C connector has contacts on both sides, so it can be plugged in ether way for easy access to kill off the most irritating problem of connection, and there is no more fumbling around. Protocols such as HDMI and DisplayPort do deliver power without any separate power cables, but they are not able to provide charging capability. USB-C connector supports USB Power Delivery that can deliver power charging capability and can also transfer data even fast enough to support a 4K monitor. Furthermore, it's universally compatible with tablets, smart phones, drones and etc. USB Power Delivery, also known as USB PD, is a new level of charging technology that is capable of running at up to 100W, which is suitable for use with 5, 12, and 20 V systems. It's a big step up from the traditional USB Battery Charger presenting limitations while charging systems with larger batteries. At present, USB-C is only implemented in some devices like the newest laptops, tablets and smart phones such as Apple MacBook, Apple TV, Google Chromebook Pixel, Windows 10 tablet and LG G5. Though not every device has USB-C yet, but it is a worthy upgrade. As many of the world's most recognized manufacturers are supporting this new technology, it is likely that more and more devices will employ it. Consequently, many USB-C accessories will come out in the mean time to meet the charging and data transferring demands. Huntkey Group, founded in 1995 and headquartered in Shenzhen, is a member of The International Power Supply Manufacturer's Association (PSMA) and a member of The China Power Supply Society (CPSS). With branch companies in the USA, Japan and other areas, and cooperating factories in Brazil, Argentina, India and other countries, Huntkey has specialized in the development, design, and manufacturing of PC power supplies, industrial power supplies, surge protectors, adapters and chargers for many years. With its own technologies and manufacturing strength, Huntkey has served Lenovo, Huawei, Haier, DELL, ZTE, Bestbuy and many other large enterprises for years, and has received unanimous recognition and trust from many customers.